Summarising is the second effective communication skill which forms part of the cyclical process of Listening - Summarising - Questioning that promotes Effective Communication and Effective Conflict Resolution. "I wonder if you could tell me how I get to the Hospital from here?" "Of course, you keep going down this road for about half a mile and come to some traffic lights. Turn left there and carry on for about a mile. You’ll probably see it before you need to turn off again anyway but about a mile along from there is a right hand turning with big signs outside so you can’t miss it, showing you the entrance to the Hospital." "Ok so that’s keep going for half a mile, turn left at the traffic lights, carry on for a mile and then turn right and it is well signposted at that point anyway. Is that right?" "That’s it you’ve got it." I find it interesting that when we really need to be sure we have heard someone after asking them a question we will almost always do a summary back of what they’ve said. Various radio communications used by the Police, the Military, Air Traffic control, all use summaries or repetitions back to the sender from the listener. But so often it is missing in our normal communication with others, and for many people feels quite ‘awkward’ as if they think it makes them look stupid or as if they haven’t listened... instead of thinking it shows they care, and are concerned that they are listening effectively. Summarising is an essential skill used in the practice of Mediation and I would say that it is an enormous contributor to the effectiveness of any communication that we have, whether in the role of a Mediator or not. The Principles of Effective Communication and the Underlying Philosophies of Mediation inform how an effective summary can be given. For example, it needs to ensure that ownership of what is said remains with the speaker. So for example, a summary in the listener’s own words does not promote effective listening and serves no real purpose as it is not a summary of what was said but a re-interpretation by the listener of what was said. This is likely to mean the speaker has to restate something or elaborate on it to try to bring the wording back to how they want it to be expressed. All of this inhibits effective communication as it adds an additional burden for the speaker to have to do this rather than to simply express themselves and be listened to. This may be fine in an unimportant conversation - in fact none of the Principles are important in a ‘small talk’ kind of conversation where it doesn’t really matter what is or isn’t communicated. But where it is important, for example in gaining information from someone (as in the request for directions above) or in a situation of personal importance to the speaker (and on a daily basis we are engaged in many such situations), then effective summarising is important, if the speaker is to feel what they say is valued. Or, at least, that their attempt to communicate their thoughts and feelings has been successful. But actually, summarising is rarely used in day to day conversations. Often a conversation ends with the people involved having very different views of what was said. An effective summary maximizes the effectiveness of the communication that occurs through a checking with the speaker whether the summary is an accurate statement of what was said. The summary is not a ‘statement of fact’ about what was said, it is an opportunity to clarify with the speaker that the thoughts and feelings and viewpoints they have expressed have been heard accurately. "Well, your body language is very angry"....or whatever emotion we have ascribed to them. Or, we may not summarise anything back to them and assume we know (speak for them) what they were feeling. In both of these situations the communication is ineffective as the speaker has to either 'go with' the feeling they have been ascribed by the speaker, or the listener goes away without ever knowing that their interpretation of the person's emotion is wrong. Of course, they may be right.........but why take that risk with the quality of our communication when there could be many many other descriptions that the speaker would use to identify how they feel? Why not simply ask: "So how do you feel about this?" and trust that whatever answer they give is genuinely how they feel? Even if it's to say "I'm not sure"
This saves us all the bother of having to decide for people what they feel, it saves them having to disagree with our decision, it allows them to speak for themselves and it allows us to trust that they know their own mind and feelings. They will always know this better than us won't they? If you don't believe that, you've got a serious attack of the Rescuer Syndrome, Don't worry though, we're working towards a cure via this website and many of the others that it links to. Summarising is not a 'high pressure' activity for the listener as the summary is not going to be 'perfect' the first time it is given and it does not need to be. One of the listener's uses for summarising is to be able to acknowledge that their listening is not perfect (we do make mistakes and it is ok to do so) and that they care enough about the quality of their listening that they want to improve it through use of a summary. Giving opinions about what was said is also inhibiting effective communication as it is no longer summarising, but a commentary. For the speaker, a major benefit of an effective summary is that it gives them a chance to 'hear themselves'. It allows them to review their thoughts and feelings from a more detached position, enabling them to gain more of an overview of what they have said. Seeing things 'as a whole' can be difficult when caught up in the emotions and reactions of a distressing situation. Summarising what someone has said enables this to happen and promotes empowerment of the speaker to be able to create better ways of responding to their situation. But it is not just distressing situations that are helped by summarising what those involved say about it. Any creative challenge is assisted through using this approach. Mediation is essentially the facilitation and support of creativity by those involved in a dispute, but the skills used to do this are just as applicable to any context where creativity is being facilitated through communication. This approach to summarising means that it becomes a co-operative process, through which both speaker and listener are trying to maximise the effectiveness of their communication. And through which, the speaker is assisted in gaining a better understanding of themselves. Isn't that ultimately what we are all trying to achieve when we communicate? A summary uses the words used by the speaker to maintain their ownership of the communication and to remove the need for the speaker to continuously restate and elaborate on what they have said. A summary supports creativity by enabling an overview of a situation or experience to be 'played back' to the speaker, using their own words. A summary supports both the speaker and the listener in improving the quality of their communication and provides an opportunity for them to work co-operatively in achieving this. A summary does not contain advice or opinion or re-interpretation. Whether used informally with friends, relatives etc. or whether in more formal professional or work related contexts, summarising is of enormous benefit when we wish to improve the quality of our communication. In order to take the level of our communication even deeper we can then use the next skill used to promote effective conflict resolution and effective communication..... Questioning. "Thank you for giving me permission to share the articles from mediate.com. The web site, mediate.com, is outstanding. 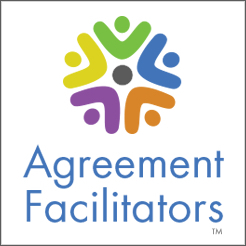 I have used it extensively as a rich resource, and I often refer it to new mediators and people who are inquiring about using mediation to resolve disputes. Thank you abundantly for providing so much invaluable information in an easy to access format."